california graveyards are not like those back east. 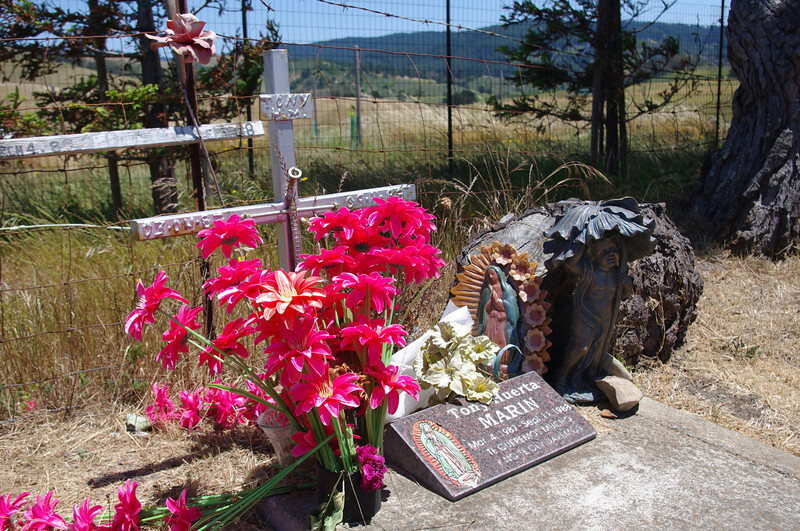 many show a homemade mexican influence; some sites are almost day of the dead altars. these pictures all from one small seacoast community's graveyard, just a few yards across a bridge behind a "downtown" of two stores and a single bar.